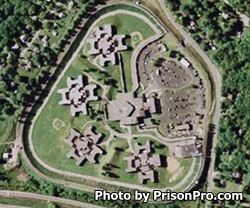 Downstate Correctional Facility is located in Dutchess County New York. It is a maximum security prison that houses adult males. The current capacity of this facility is 1,234 inmates. Treatments and programs at this facility are limited because the main purpose of Downstate Correctional Facility is to receive, diagnose, and classify offenders. Most inmates are only housed here an average of 21 days, then moved to a permanent housing facility. A small number of inmates are housed here permanently and perform support services for the institution. Although Downstate Correctional Facility is a reception/intake facility, it still offers some vocational programs, including culinary arts, and a dog training program. During the intake process offenders are fingerprinted, and given a battery of examinations from medical and dental to mental assessments. Staff will then decide which facility will best suit the offenders treatment and supervision needs. Visiting is everyday from 8:30am-3:15pm, processing of visitors does not occur between 11:15am-12:45pm. Processing of visitors stops at 2:15pm, you must arrive before this time or you will not be allowed to visit.